You're invited to EAA AirVenture - a week long airshow so packed with aircraft that for one week Oshkosh's control tower is the busiest in the world. Every year the skies over Oshkosh, Wisconsin, rumble with the sound of aircraft engines. It's the annual EAA AirVenture, a gathering of aviation enthusiasts like no other. The weeklong airshow is sponsored by the Experimental Aircraft Association (EAA) - an international organization based in Oshkosh - and is the largest of its kind anywhere in the world. EAA Oshkosh showcases the many types of aircraft that have appeared there and even offers a glimpse of the lively crowds and campgrounds. 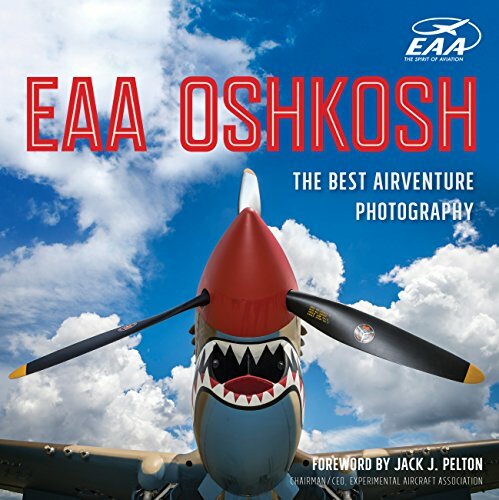 Drawing on the EAA's photo archive dating back to 1953, EAA Oshkosh brims with fascinating stories, history, and photography. Paging through it is the next best thing to actually attending the show!